Looking for a fun getaway during the Halloween season in 2017? Great Wolf Lodge, North America’s largest family of indoor waterparks, celebrates the holiday season with its annual "spooktacular" Howl-O-Ween event. The event has grown so much in popularity that it now happens over an entire month. At Great Wolf Lodge, guests get unlimited access to giant indoor water parks with lazy rivers, wave pools, raft rides, body slides, and an interactive splash zone for younger kids. In addition to a water park, each resort features an arcade, spa, mini golf course, bowling alley, high ropes course, fitness room, MagiQuest role-playing fantasy game, and more. Great Wolf Lodge's woodsy theme carries from the lobby to the guest rooms, which are suites that range from standard family suites (two queen beds, sitting area with sofabed) to much larger themed suites with little sleeping dens for kids that come complete with bunk beds, colorful murals and their own TVs. The largest suites can sleep up to eight people. How much: Rates start at $180 a night in some locations, including accommodations, admission to an enormous indoor waterpark, and many special seasonal activities. When booking, use the promo code HOWL. During Howl-O-Ween, children are encouraged to bring their Halloween costume and join a trail of trick-or-treaters as they collect ghostly goodies along a spooky path, attend a monster-themed dance party, and end each night with some not-too-terribly-scary stories. Where: Available at 14 Great Wolf Lodge locations in the US and Canada. Trick-or-Treat Trail, where little ones can grab their treat bag and collect ghostly goodies on a spooky trail through the lodge. Great Wolf Resorts is the largest chain of indoor water parks in the world. The chain offers a rustic, Northwest woodland lodge theme, complete with rugged timber beams and a stone fireplace in the lobby. The first Great Wolf Lodge opened in the water park mecca Wisconsin Dells, Wisconsin, in 1997. The second location opened in another water park magnet, Sandusky, Ohio, in 2001. Today there are 14 Great Wolf Lodge locations in the United States and Canada, with three more on the way. In addition to accommodations in wilderness lodge-style rooms and suites, guests receive complimentary, unlimited access to a large indoor water park with numerous waterslides, a wave pool, lazy river and more. Some locations also have an outdoor water park. Also on-site at each location: restaurants, an arcade, spa, fitness room and children’s activity areas that may include mini golf, bowling, a 4-D motion thrill ride, a high-ropes course and the MagiQuest high-tech scavenger hunt game. 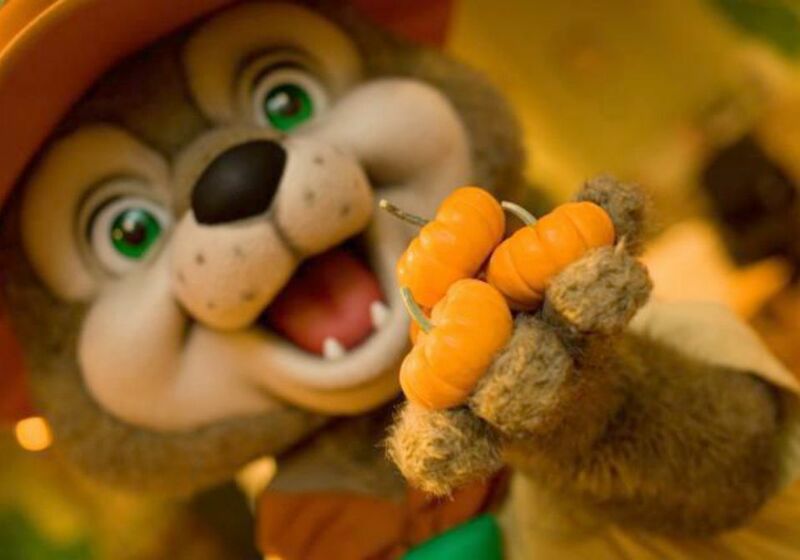 In addition, kids can meet the Great Wolf Lodge woodland characters, Wiley, Sammy, Rachel, Brinley, Viol and Oliver.